New Zealand's Milford Sound Road. Photo via Wikimedia. In response to concerns about driving in New Zealand, Thrifty Car Rental has launched a mobile app to help travelers plan trips easily and safely. To create the app, Thrifty partnered with GeoZone, Christ Church-based app developers. 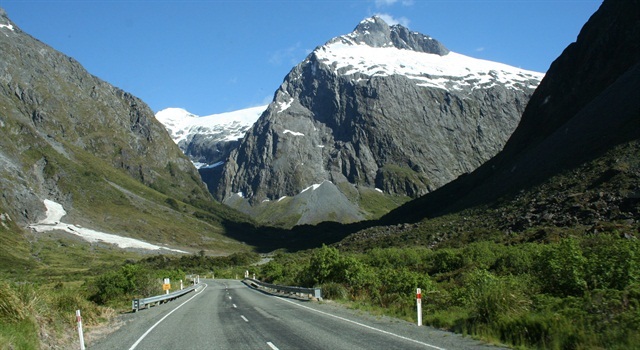 The app includes a road safety video (available in English, French, Chinese and German) that explains the ins and outs of driving on New Zealand roads for international visitors, says the company. Additionally, the app also helps users plan their route by pointing out road warnings, gas stations, restrooms and other amenities. The Thrifty Travel NZ app will be available on all iOS and Android devices and can be downloaded free from the Apple App or Google Play Stores, according to the company.